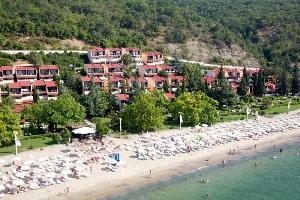 Elenite resort is a holiday complex, situated on Black sea coast, on the southern slopes of Stara Planina. 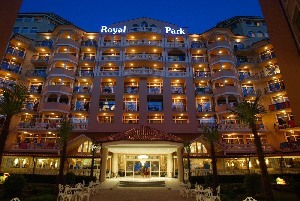 The resort is situated in beautiful bay near the cape Emine, on 4.5km from St. Vlas and in 8,5 km from Sunny beach. 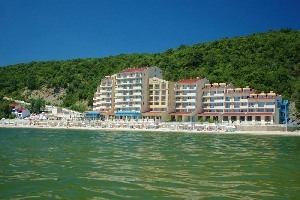 The international airport Burgas is located 40km away from the resort. 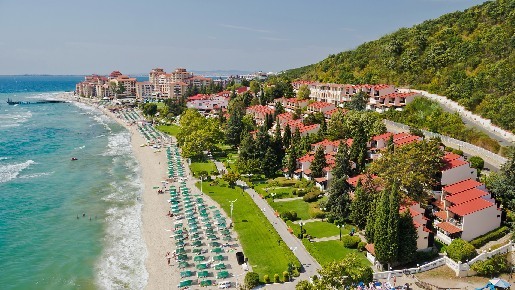 The resort consists of villas , surrounded by fresh greenery of the Balkan Mountains and offers comfort and luxury combined with beautiful scenery and fresh air. The resort offers a variety of sports outdoor activities - surfing, sailing, canoeing, beach volleyball, water polo and more. 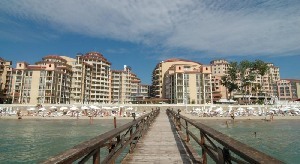 Holiday village works on All inclusive basis which is suitable for organizing family vacations or romantic trip. The complex has several restaurants, bars and nightclubs. Animators take care of the mood of the kids and the aqua park contributes to their full satisfaction. As an additional service the complex offers medical care, kindergarten, and currency exchange and internet access. 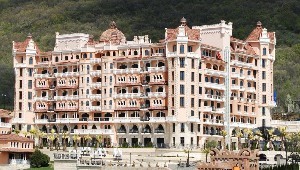 Hotels and villas fit perfectly into the natural greenery and pedestrian area connecting all sites bordered by soft golden sand. The sea water is crystal clear, the sand is fine and the sea floor is shallow and safe for swimming.